Ukraine's spy agency, the SBU, is systematically rounding up and torturing suspected rebel sympathisers, the United Nations has told The Times. 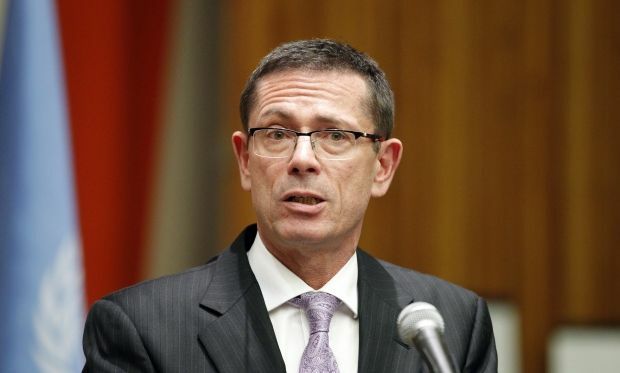 Ivan Simonovic, UN assistant secretary-general for human rights, said that in some areas Kyiv's "disregard for human rights" had become entrenched and systemic and needed to be urgently addressed, The Times reports. As UNIAN reported earlier, on May 25, the United Nations Subcommittee on Prevention of Torture (SPT) suspended its visit to Ukraine after being denied access to places in several parts of the country where it suspected people were being deprived of their liberty by the SBU Security Service of Ukraine. On May 26, First Deputy Minister of Justice Natalia Sevostianova told journalists that the Security Service of Ukraine had denied access to the United Nations Subcommittee on Prevention of Torture (SPT) to several locations in Mariupol and Kramatorsk due to the presence of a "Russian" in the mission.